Additional store closures would continue until August 2018, with only one U.S. store left in Bend, Oregon. 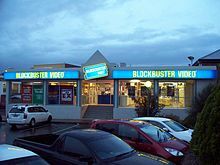 At the end of March 2019, the Blockbuster store in Morley, Western Australia was closed, leaving the Oregon store the last one standing in the world. The Bend store houses Russell Crowe movie props which John Oliver had donated to an Alaska store. A documentary is currently in production by two Bend filmmakers whose goal is to get it "on the shelf at Blockbuster while there still is one." By 2017, there were only 12 outlets, in addition to about 70 automated booths, left in Australia. 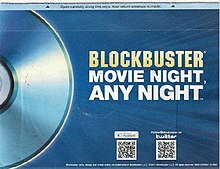 Additional store closings would go on for several years , until all the stores in Australia had closed, although vending kiosks with the Blockbuster logo were in operation. Australia's last Blockbuster store, in Morley, Western Australia, was closed at the end of March 2019. ^ Stephen, Bijan (August 29, 2018). "The last Blockbuster: what we really lose when video stores shut down". The Verge. Retrieved April 19, 2019. ^ Editors, History.com (November 13, 2009). 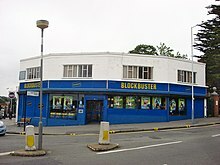 "1985: First Blockbuster Store Opens". The History Channel. Retrieved May 24, 2015. ^ Hastie, Hamish (January 4, 2019). "And then there were two: Morley Blockbuster one of the last in the world". Sydney Morning Herald. Retrieved January 4, 2019.